Critical stakeholders in Primary Health Care Under One Roof (PHCUOR) which include government, civil society groups and media met in Kaduna to review the challenges and prospects of the programme in Kaduna State. During that meeting it was leant that, as part of the efforts to improve the standards of the primary health care services in Kaduna, the state Governor, Nasir El-Rufai has gave approval for recruitment of additional 3,059 frontline healthworkers. This was coming ahead of the completion of the 255 primary health centres (PHCs) currently undergoing renovation and upgrade across the 255 political wards in the three senatorial zones of the state. Chairman Primary Health Care Development Agency Board, Kaduna, Dr Sani Muhammed Jibrin, who gave the statistics during PHCUOR’s review meeting in Kaduna over the weekend noted that, the state government has opened its health sector so that citizens and other partners can contribute their quota to healthcare delivery at grassroots. According to him, “before Governor El-Rufai assumed office, primary health care services were scattered and fragmented at various ministries, departments and agencies (MDAs) elsewhere. “But now, the way we are operating is that, everything is put under one roof. We now have one management, one plan, one monitoring and evaluation, everything concerning PHC is now under the agency. “When we came in 2015, because of the fragmentation, the total score for PHC in Kaduna was less than 40 percent. But now, with transfer of staff to all the LGAs, with the renovation of 255 health care facilities across the state, with renovation of health office in the LGAs, we are now scored over 70 percent.” he said. “The major challenge the state is facing is the issue of funding and also human resource which the state government has already started addressing by giving approval for recruitment of 3,059 frontline healthworkers in the state. He however called on civil society organizations and the international NGOs working in Kaduna state to put heads together with the board so resources could be put together to address wastages. Deputy Director, National Primary Health Care Development Agency, Dr Adeniyi Ekisola, who presented the 2018 PHCUOR in Kaduna revealed that, though the state performed creditably well in office set up at 100 percent and funding sources and structure at 86 percent, it performed poorly in legislation and managed services programme (MSP) put at 38 percent and 53 percent respectively. 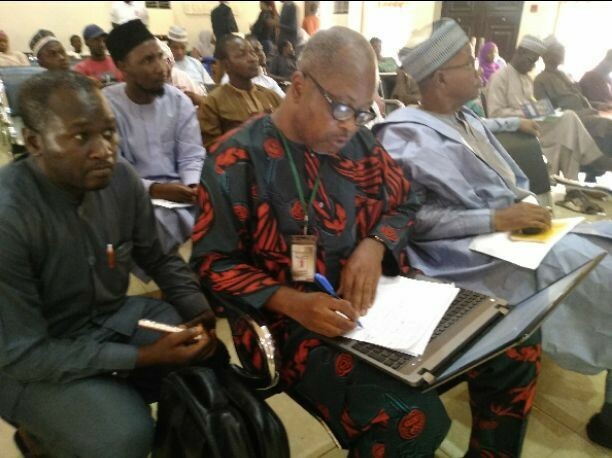 Earlier, the Conveyner, Co-Chair of OGP in Kaduna who doubled as Chairman, Initiative for Integrated Grassroots Empowerment and Support in partnership with Development Research and Project Centre (IIGES-PAS), Mustapha Jumare, said the programme was all about coming together of stakeholders on PHCUOR as it aligned to OGP which is the grand finale of OGP week in Kaduna State. Meanwhile, Co-Chairs of OGP, Citizens Wing from Kano and Niger States, Halima Ben Umar and Sanusi Aliyu respectively were present at the event with intention to go back home add value to their states’ OGP based on what they had learnt. PHCUOR is a health package where services like family planning, maternal and child health, nutrition programmes, malaria, HIV/AIDs, immunization etc are centralised at primary healthcare level for effective service delivery.